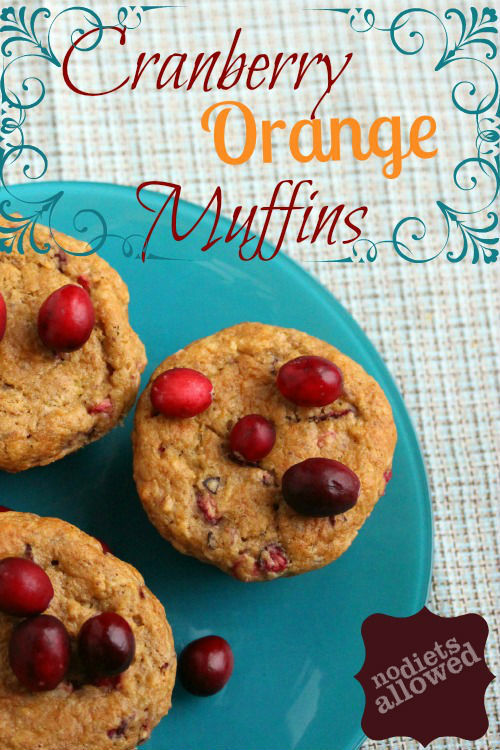 One word for these muffins… RIDICULOUS! I knew the combination of orange and cranberry would be over-the-top superb, but I wasn’t prepare for the firecracker of flavor. POP! Citrus, acidic orange. BAM! 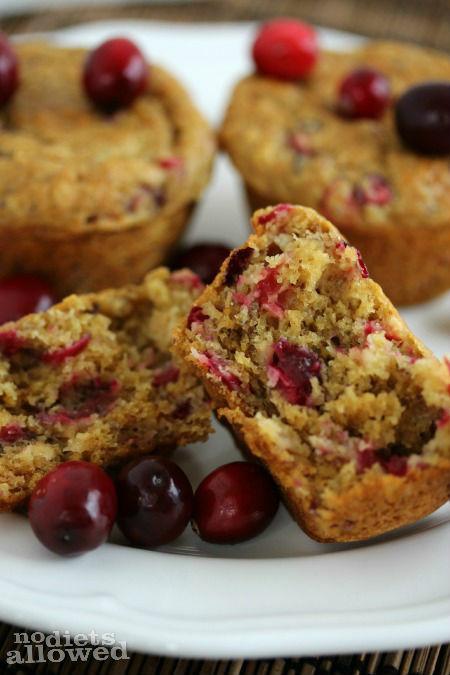 Tart and tangy cranberry. POW! Sweet, moist, and honeyed muffin. 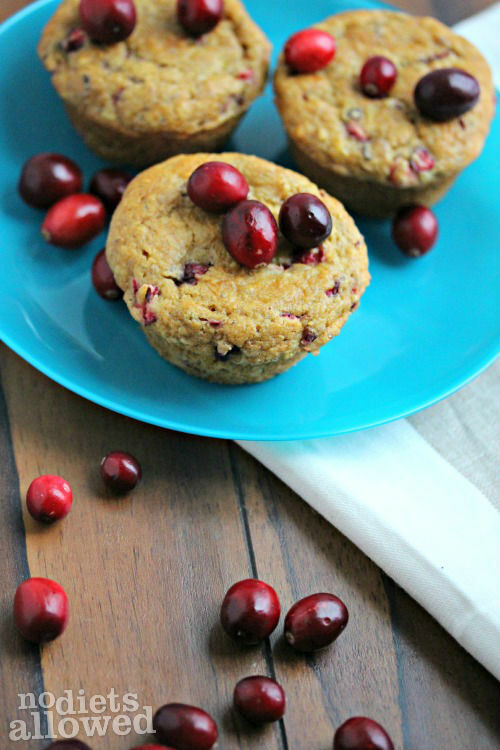 These Cranberry Orange Muffins are ridiculously flavorful. Like I mentioned in my Blueberry Banana Muffins, I’ve tried baking with several different whole wheat flours. The flour you bake with will either leave your muffins hard and dense or soft and moist. Here’s the whole wheat pastry flour that I’ve grown to love and use when baking anything with flour. In a large bowl, combine flour, flax seed, baking powder, baking soda, and salt. Stir well. In a Vitamix blender, blend oranges until smooth. Add applesauce, honey, oil, and vanilla. Blend on low until mixed well. Pour the wet ingredients into the dry. Stir just until blended. Lightly spray muffin pan with olive oil cooking spray or use muffin cups. Scoop about 1/4 cup of batter into each cup. Bake for 18 to 20 minutes or until the tops of the muffins spring back when lightly touched. 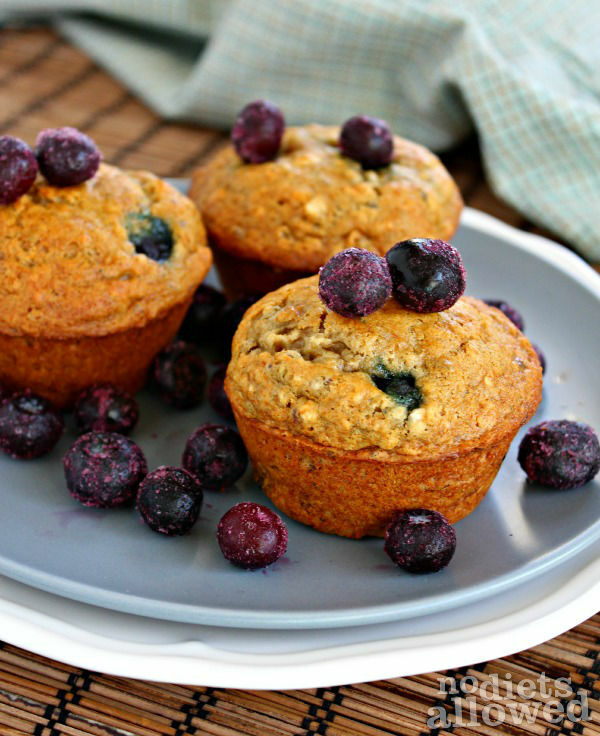 If you’re a muffin fan like I am, try these Blueberry Banana Muffins. 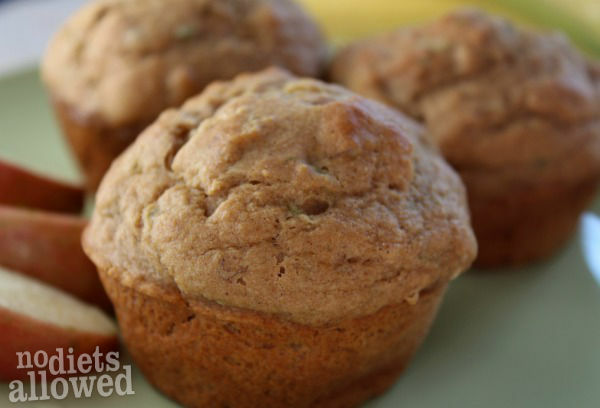 Or try these Whole Wheat Banana Zucchini Muffins. Look at how amazing these are!! And the list of ingredients?! Loving it. I also love that you can basically just throw it all in the blender and make it happen. Pinning! Oh yummmm…these sound really good!! Do you think I could sub chia seed for flax? I have everything else on hand! For sure, Melissa! Let me know how they turn out with chia seeds. Well, I FINALLY got around to making these with the chia seeds instead of flax. These muffins are outstanding!! I agree with everything in your opening sentence! 🙂 the flavors are AMAZING! I made your banana muffin recipe too…again with chia. They are fantastic as well…both are so moist too! YUMMM! Thanks for some great recipes! Thank you for your kind comment, Melissa! I will definitely try them out with chia seeds too. 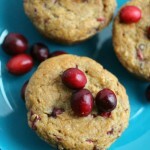 I have searched several grocery stores and can’t find fresh or frozen cranberries anywhere. Do you think dried cranberries will work as well? Also, when you say 2 oranges are they smallish, medium, or large oranges. I just bought some oranges that boarder on ginormous – should I still use 2 or just 1? Or maybe 1 1/2? Hey Sarah, great question. Fresh cranberries unfortunately are only in season from about September to February. I haven’t tried dried cranberries, but I’m sure they’ll be great. If you have a ginormous orange, I think one would be sufficient. Let me know how they turn out! I gave in and tried 1 1/2 oranges but it was probably too much, the batter/dough was pretty runny so I added a little more flour. Otherwise they came out pretty good – took them to Easter dinner last night and others enjoyed them. Thank you for sharing your success, Sarah! Dried cranberries are definitely not as fabulous as fresh cranberries. The tartness of fresh ones really compliment the orange flavor. Whenever I make any of my muffins, I clean the batch all by myself throughout the day. I can’t resist their fluffy goodness!